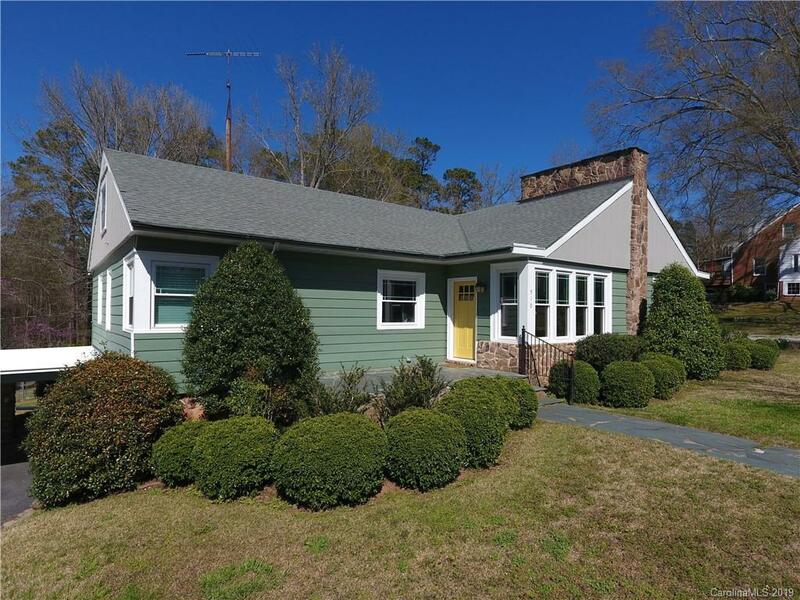 Ever dream of living in a quaint neighborhood, in a friendly NC town, in a 2,865 SF "move in ready house"? The practical & the cosmetic renovation, inside & out done by an expert! Dual Central Systems 2018 "20 Seer" Heat Pump & 2017 Oil Furnace. New windows, insulation, custom moldings, fresh current colors throughout, electrical upgrades, etc. All new Custom designed Dream Kitchen - new cabinets, solid counters, crushed granite sink, quality stainless appliances, 2 pantries and breakfast area. Living room with oak hardwoods and fireplace opens to large dining room with raised panel molding. Open but cozy feeling in the front sun room with stone fireplace. 4 Bedroom, 2 Bath on main level. Large back sun room off kitchen. +/- 4 ACRE LOT w/ partially fenced back yard and natural wooded area. Current owners operate their business in this comfortable basement with full bath & workshop. New 20' x 25' Double garage, double carport & additional outbuilding in the back. Must See!